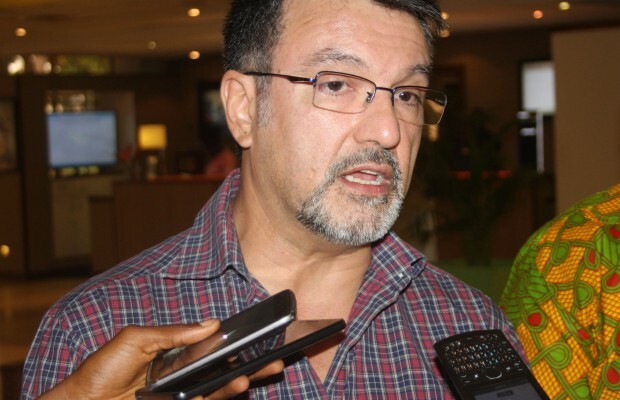 Chief of Party for USAID Ghana, Walter Nunez-Rodriguez, has thrown his weight behind the inception of the Crop Varieties Licensing Policy saying that would promote agricultural development immensely. According to the USAID Ghana boss, the policy would provide an effective and efficient industry to address the many aspects that are hindering agricultural development. Speaking to BUSINESS GUIDE at a crop varieties licensing workshop in Accra, he said the licensing would help define the language and format of licensing contracts between the country’s National Agriculture Research Organizations (NAROs) and seed enterprises. “Crop Varieties Licensing has to do with the capacity of delegating to third parties the possibility of multiplying foundation seeds. Once we have sound, vibrant, effective and efficient seed industry, the many of the aspects that are hindering agricultural development can actually be solved. “Seed is an input that is part of the important course element into the production sector so by providing improved seeds at a competitive price, farmers become more competitive,” Nunez-Rodriguez said. He said when the licensing procedures are well in place that would be an input into developing the seeds industry in Ghana. The Crop Varieties Licensing Policy would multiply actors in the seed industry which in turn would multiply seed availability. The USAID Ghana boss said the many of the aspects of the policy needed to be strengthened as also is the connection between producers and researches. “Once this happens, and there is a licensing manual, then eventually the availability of improved seeds would be increased,” he said. The workshop brought together representatives from the Ghana Seed Inspectorate Service, Seed Industry Associations and the Crop Research Institute (CRI) among other stakeholders.